So many things have happened recently. It seems that every time I get a chance to sit down and write I get pulled in five different directions. Which is the most important subject? What will I talk about? This last month has been amazing. So I am going to touch on a number of topics. So, bear with me! First, a quick update on my Rush Foot™. Every single day, I am amazed at this foot. It has given me the confidence to take on increasingly difficult activities with ease. Climbing stairs, ladders, walking on really challenging terrain is no match for the flexibility of the foot. I never feel like I am overdoing it and the power it gives me is truly remarkable. The only negative thing I can say about it is that the foot shell is a little freaky. The color looks like something that was made as a prop for a zombie movie, pale and lifeless. I think that just a little more work on the shell would be a good thing for Ability Dynamics to focus on. It is a lot easier to focus on being positive when the foot you use is not giving you extra problems to deal with and overcome. Which leads me to my next subject: the White House revised response to our We The People petition. As you probably remember in my post White House Response Unacceptable I was pretty upset about the mamby-pamby wording of the original response, primarily since it did not address any part of the petition that we had signed.. On November 2nd, the White House updated the response, stating that while the LCD change for DME was not rescinded entirely, it was being removed and was going to be rewritten after a committee of involved (government implied) experts convened to discuss it. Not quite a complete victory, however the first battle went to us! Right after this date, I received my Amplitude Magazine. I had been contacted to write a short article on advocacy, because I was being very vocal about it on Facebook, Twitter, Instagram and this blog. 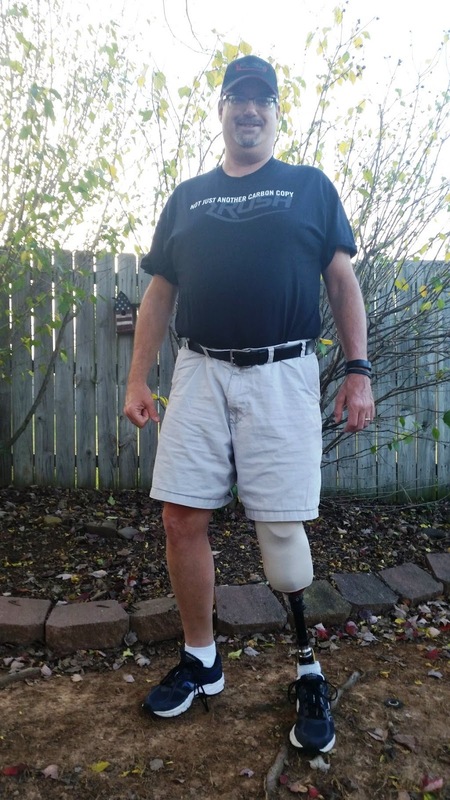 I want people to realize exactly what it feels like to be an amputee. That none of us want any sort of pity, but would much rather live our lives in a way that brings us back to a relative normality. 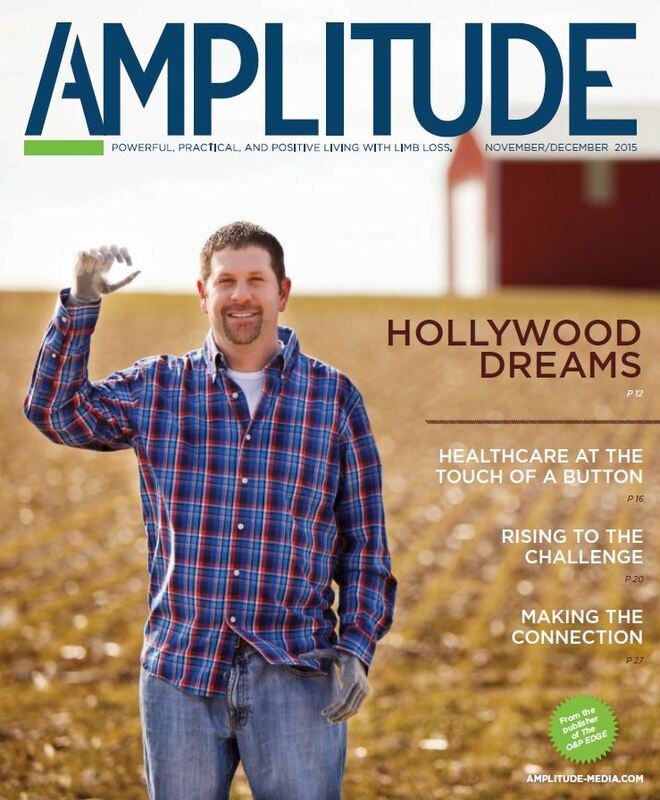 While this article is in a magazine that is primarily distributed to amputees or people that work directly with us, it is a start to get the word out about standing up for our rights. If we don't stand up for ourselves, no one else will. No one out there wants us to suffer more than we already are, but without a frame of reference, they won't even think about how something affects the way we live. 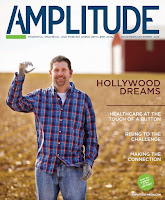 Click this link to read Amplitude Magazine online, and while you are there subscribe to it. It is free! My article is on Page 9. I continue to work out, but not nearly as much as I need to. 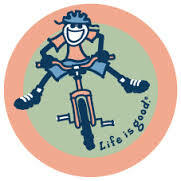 Riding my bike, walking and even using the treadmill. 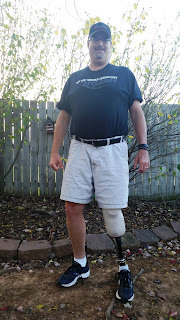 I am learning to trust my prosthetic, and some people may laugh at my attempts to run, but when I explain to them that running on a prosthetic is like trying to run in really high heels, they tend to understand. I know that once I get my brain wrapped around the idea that running will be easier I know that with the Rush™ foot, I can do most anything I want. There is a lot to be positive for, even with all the challenges that my family faces, learning to live within the confines of the my disability, deal with the financial difficulties as they come. I am extraordinarily thankful that I have a supportive family, a great insurance company who listens to my needs and helps to expedite my care and the health to enjoy life as it comes. Every time I start to feel overwhelmed, I remember all these things, focusing on them and then I work on a solution to the challenge that I am facing. A year ago,it was merely a game of survival, of trying to save a hunk of meat on the end of my leg, now it is about meeting my obligations. Believe me when I say that it has been a heck of a year, but better things are bound to come, and for that I am eternally grateful.